As a college freshman, I often found myself frustrated when it came to creating space to read my Bible. When I sat down to read it, I didn’t know where to start, what to do, or how to apply it to my life. It wasn’t until one of my friends introduced me to the She Reads Truth community that I really started to understand what it looked like to dig into the Word. She Reads Truth is an online community that is fostered around daily devotionals written by numerous authors. They do studies on books of the Bible, different topics and even people in the Bible. She Reads Truth provided me with the tools I needed to learn how to study my Bible and truly develop a love for God’s word. So you can imagine my excitement when I heard She Reads Truth was coming out with their own BIBLE! And when I was given the opportunity to review this Bible through B&H Publishing by Front Gate Media, I said YES! This Bible includes so many different features to help you understand the history, context and background behind each book of the Bible. Each chapter contains an introductory timeline of events taking place during the time the book was written, an overview of the chapter and detailed maps that show the areas in which the stories took place. Not to mention, each chapter contains a detailed reading plan (hallelujah, I need those!). One of my favorite features though, are the devotions scattered through each chapter, giving practical and real-life application through personal stories. Just like the She Reads Truth App, the devotions are written by multiple authors, making all of devotions unique from each other and diverse in thought. Sounds pretty amazing huh? It IS! 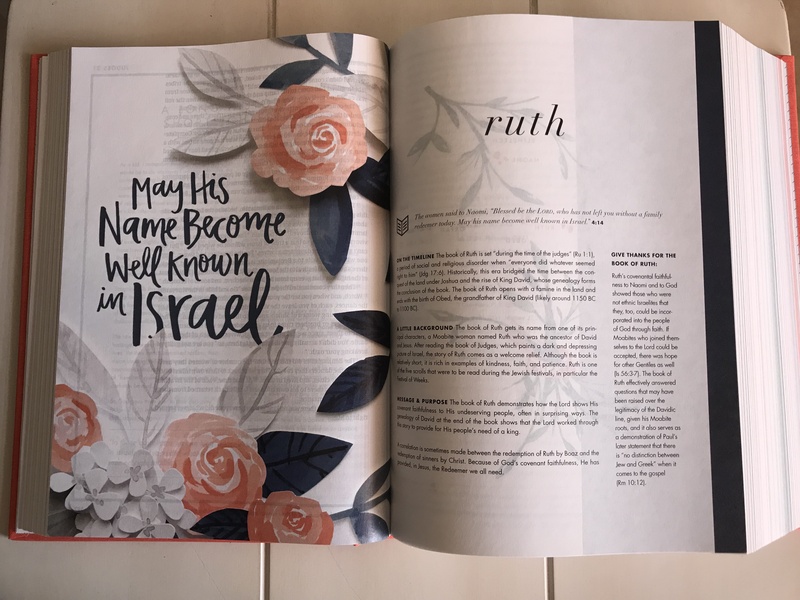 If you are interested in purchasing the She Reads Truth Bible, click HERE and follow the link. If you’d like to enter into a giveaway to win this Bible for FREE, click the photo below and enter away!